Last year, the American auto industry was brought to its knees and forced to ask for a government handout. An excerpt from Paul Ingrassia’s new book, Crash Course, on the Big Three’s glorious heyday and their struggle to survive. Last year the American auto industry was brought to its knees and forced to ask for a government handout. An excerpt from Paul Ingrassia’s new book, Crash Course, on the Big Three’s glorious heyday and their struggle to survive. Paul Ingrassia's Crash Course, the first book about last year's automotive bailouts and bankruptcies, traces Detroit's woes to the 1970s, when alienated workers dealt with inbred managements. Early in the book, Ingrassia, who won a Pulitzer Prize covering Detroit for The Wall Street Journal in in 1993, describes the depth of labor-management division. Some UAW members began earning enough to join the country clubs where their managers belonged, but Detroit’s line of social demarcation was class as well as cash. Executives mostly lived west of Interstate 75, in the northwest suburbs of Birmingham and Bloomfield Hills. Their social courts were country clubs such as Orchard Lake and the Bloomfield Hills Country Club, the latter being such a GM bastion that even a Ford was considered a foreign car. Not since Studebaker in 1966 had a major American car company filed for bankruptcy. Hourly workers, though, lived east of I-75 in Macomb County, where their powerboats, sitting on trailers, often were longer than the homes alongside them. This social-geographical dividing line continued all the way up to the playground communities atop Michigan’s Lower Peninsula. West of I-75 lay the white-collar resorts of Petoskey and Harbor Springs on Lake Michigan, home to summer “up north” parties where the women wore silk and the men wore seersucker. East of I-75 the Lake Huron shore was lined with blue-collar bungalows and blue-jean bars, where even saying "seersucker" would get you a punch in the jaw. The companies' management teams, meanwhile, were becoming inbred and sycophantic. In a telling incident in the mid-1970s, some junior GM executives had a meeting with Chairman Thomas Aquinas Murphy that happened to fall on Ash Wednesday. Murphy, a devout Catholic, was wearing the ritual ashes on his forehead. One of the young men dipped his finger into a nearby ashtray, dabbed a smudge on his own forehead, and—yes—walked in to meet the boss. Years later he would become an executive vice president of the company. During the 1980s and 1990s, Detroit's car companies swung wildly between reform and relapse, going back and forth between record losses and record profits during the two decades. Detroit's boom of the 1990s was fueled by the popularity of sport-utility vehicles, a trend the Japanese initially missed. Ford and GM earned a combined $13.2 billion in 1999. The profits from SUVs and other trucks covered up many underlying ills. One was the Jobs Bank, a program begun in the 1980s that paid laid-off auto workers 95 percent of their wages indefinitely. In a perverse but predictable twist, the Jobs Bank led to "inverse layoffs," which occurred when senior workers volunteered to be laid off and thus bumped junior workers back on to the assembly line. After all, why should a senior worker slave away building cars when workers with lower seniority collected virtually full pay just for sitting around? Such was the logic of Detroit's dysfunction. On Saturday, Nov. 15, 2008, GM Vice Chairman Bob Lutz and his wife attended Madame Butterfly at the Detroit Opera. Patrons in the next box noticed he was furiously thumbing his BlackBerry right up until the opera began, and then again during intermission. Was Lutz, they wondered, exchanging ideas with CEO Rick Wagoner and other GM executives on how to present GM’s request for billions of dollars in government aid to Congress? Not exactly. The 76-year-old executive was playing BrickBreaker. Just three days before Wagoner would give Senate testimony that might decide the fate of General Motors, the company’s vice chairman was fully absorbed in a videogame. It was just as well, actually. Any distraction would be welcome in the days to come. The congressional committee hearings on Nov. 18 and 19 were a disaster for Detroit. The CEOs of GM, Ford, and Chrysler were pilloried for swooping into Washington on their corporate jets to ask for a handout. They returned for a second round of hearings in early December, which went better, but there was still no consensus in Washington on how, or even whether, to help the car companies. Senate Republicans had enough votes to stop any measure not to their liking. At 7:30 a.m. on Dec. 11, a staffer for Sen. Bob Corker, a Tennessee Republican, called Fritz Henderson, GM’s chief operating officer, on his cellphone and outlined a new plan. The key point was getting the Detroit companies and the the United Auto Workers union to wage parity with the Japanese car plants in America in 2009. Henderson, who was in New York, quickly agreed, and at 8 a.m. Corker called UAW President Ron Gettelfinger, who said the union would talk. Later that morning, Senate Democrats agreed to negotiate with the Republicans on the condition that Alan Reuther be included in the discussions. Reuther was the UAW's chief lobbyist and a nephew of Walter Reuther, the union's legendary president during the 1950s and 1960s. The Reuther name harkened back to the union’s glory days. About 2 p.m., the Democrats, Corker, and Reuther convened, along with staff members, in the ornate Senate Foreign Relations Committee hearing room in the Capitol. As the negotiations continued, the Republican staffers summoned the lobbyists from the car companies, who frantically dashed to the Capitol, calling every few minutes to report their coordinates (“I’m stuck in traffic at Connecticut and K”) en route. When the corporate lobbyists arrived, however, they were told to cool their heels in an anteroom. The UAW had a seat at the negotiating table, but not the car companies themselves. It symbolized how far the mighty had fallen. Fritz Henderson, meanwhile, was at LaGuardia Airport, waiting to board a 6 p.m. Northwest Airlines flight back to Detroit, his new mode of travel in the post-corporate-jet era. GM's Washington lobbyist called and asked him urgently to stay on the ground and to stay on the phone as well, in case he was needed for quick consultations. So Henderson kept the phone line open and waited... and waited... and waited. After three hours, his phone ran out of juice, and Henderson himself was running out of gas. He booked a room at the LaGuardia Marriott and hopped on the hotel shuttle—just like your average corporate road warrior—arriving about 9 p.m. and ordering a room-service dinner. He turned on C-Span to keep abreast of developments on Capitol Hill. The pay-parity issue remained the sticking point. The vote came at 10:42 p.m. A few Republicans senators bolted their party but mostly they held firm, and the bill to aid Detroit died. President George W. Bush funneled emergency money to GM and Chrysler anyway (Ford had decided it could go it alone). After President Barack Obama took office in January 2009, he named an automotive task force, housed in the Treasury Department, to devise a more permanent solution. The new president's advisers split sharply on whether to save Chrysler. Obama himself decided on a rescue attempt led by Italy's Fiat, the only auto maker willing to try. Next would come painstaking negotiations among the task force, Chrysler's creditors, the UAW, and Fiat, led by its tough and wily CEO, Sergio Marchionne. Obama wanted a restructuring plan that would win approval from a federal bankruptcy judge and let Chrysler emerge under Fiat's managerial control. The key negotiators included Gettelfinger, Fiat investment banker Andrew Horrocks, and Ron Bloom, a senior task force member. Despite his strong union ties, Bloom pushed the UAW to take Chrysler stock for money the company owned to a health-care trust for retired workers. But the union wanted cash, not stock that might wind up being worthless. The Crash Course description of the ensuing showdown debases a myth that took hold after the bailout—that the UAW won a major victory by winding up with a majority of the stock in Chrysler. On April 10, Good Friday, Fiat and the union arrived at the Treasury to hash it out. Bloom proceeded to squeeze the union politely but firmly. "Your claim is with a hopelessly insolvent company," he told Gettelfinger. "Getting stock is a good outcome for you." If Gettelfinger blocked the Fiat deal, Bloom added, the alternative would be Chrysler's liquidation, which the UAW chief desperately wanted to avoid. The negotiations went back and forth for hours, during which Horrocks, the banker representing Fiat, stepped outside for air, only to find that he couldn't get security clearance to re-enter. Maybe the future of Chrysler was at stake, but the Treasury Department's security guards weren't about to bend. Bloom had to fetch him back inside. Finally, at 8 p.m., the UAW agreed to take Chrysler stock—non-voting shares—in lieu of half the trust-fund debt. Work rules and wages remained sticking points, but Horrocks was beginning to believe that his client's brazen bid for Chrysler might actually succeed. He walked over to Gettelfinger and, referring to Marchionne, said: "If Sergio was here, he would want to shake your hand personally. Would you shake mine as his proxy?" "I hope Sergio will come to Detroit one day," Gettelfinger replied, his voice tinged with emotion, "and see what it is like for ordinary folks who are losing their homes." Horrocks feared he had committed a faux pas, and mentioned the incident later to Bloom. "You'll have to forgive Ron," Bloom explained. "That handshake you asked for was the undoing of 70 years of UAW bargaining." On the morning of April 30, after nearly three more weeks of negotiating, Chrysler's attorneys filed a Chapter 11 petition with the federal bankruptcy court in Manhattan, listing $39 billion of assets but $55 billion of liabilities. The documents described Chrysler's failed attempts to sell itself to Nissan, General Motors, and almost any other car company, and portrayed Fiat as the company's last hope. "Chrysler is seeking approval from this Court to consummate the only sale transaction that preserves some portion of its business as a going concern and averts a liquidation of historic proportions," the petition stated. "Liquidation would mean the end of an iconic, 83-year-old American car company...(and) would have impacts on the nation's economy and Chrysler's stakeholders that are grim." Not since Studebaker in 1966 had a major American car company filed for bankruptcy. And Chrysler's bankruptcy, it was clear, was just the warm-up for the next act: General Motors. 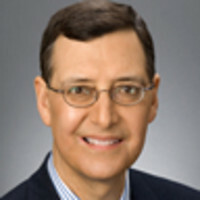 Paul Ingrassia is the former Detroit bureau chief for The Wall Street Journal. Winner of the Pulitzer Prize in 1993 (with Joseph B. White) for reporting on management crises at General Motors, Ingrassia has chronicled the auto industry for 25 years. He is co-author, with White, of Comeback: The Fall and Rise of the American Automobile Industry.